The religious temple of Hindu goddess Kali, located in the GauriShankar conservation area is in the height of 3842m above the sea level. You can see the breathtaking hills on the way, the gumbas and stupas can be visualized in the way and the beauty of our national flower laligurans (Rhododendron) and its varieties will be settled in your memories forever. This temple is covered with snow in winter and mainly in February or October for those who want to trek in the snow in a risk-free way, this is the place and for risk hunters, you can have a thrilling experience in the upside hill from village Kuri to the temple. The bells and Tridents present in thousands of numbers shows religious belief and custom of people. This heritage won't fail to amaze the travelers with its l beauty. Another historical temple is full of natural and cultural beauties. This temple is situated in the heart of Dolakha, the Dolakha Bazar. The temple introduces travelers to the history of Dolakha and the natives of Dolakha. The Hindu temple is full of statues and bells which automatically clicks up the religious side of the visitors.T he artistic side of Dolakhalis can also be experienced through the portraits, sketches, and the woodcrafts. Visitors would never be bored with the hospitality provided by the native newars of Dolakha. You can also enjoy the beautiful view of the Tamakoshi river flowing down. Besides if you look down you can experience the beauty you can find nowhere else, the farms in the slope play a different and very vital role in making your tour special. Bhemsen temple is truly the heart of Dolakha. The most amazing and surprising natural heritage is shailung hill. No wonder that it is full of geographical secrets. Being a junction of districts like Dolakha Ramechhap Kavre and sindhupalchok it is the most beautiful place you will find in the whole world. You can never stay praising the heaps called Thumka (Hills) in the altitude of 3146m that are present in hundred of the number in there. Except this, you can not only see the smiling chilled Gaurishankar but you can also see the mountains like Ganesh Himal, Sagarmatha (Mount Everest), Mahabharat and Chure ranges. For people who love traveling and natures amazes it’s a must go. Also known as the gateway of Mount Everest and the Switzerland of Dolakha, Jiri is a base camp for Mount Everest. It is one of the big towns of Dolakha and is very strict in security and cleanliness. 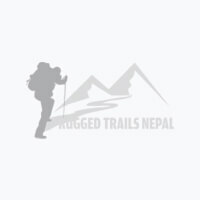 It provides the closest view of Sagarmatha for those who are not able to go to Mount Everest or don’t want any risk going there. Visitors are mostly attracted to the accommodation, healthy environment, snow, hospitality and the beautiful view of Jiri. You can also experience the mesmerizing view of the sunrise on snow which you can never forget. The newly registered conservation area including the Rolwaling range expanded up to 2179km square is the destination or the wishlist of nature lover or the animal lover. You can see the variety of flora and fauna in this area bounded only. Exploration will be the greatest achievement of visitors coming here.You can find 235 species of birds, 8 species of lizards, 14 species of snakes, 10 species of snakes and 16 species of fish and a wide range of floras, beside these the main attraction of this place includes rare animals like snow leopard, Himalayan black bear, Himalayan Thar, etc but the rarest species conserved is red panda. On the way to the conservation area, you can get a chance to go through tall waterfalls and can watch the GauriShankar the origin of Tamakoshi and Sunkoshi at its closest. While saying Nepal is an agricultural country, people want to experience that part of life too. If you want that, just pack your bags and head 7 km down from Charikot you will find a village surrounded by jungle and at the middle of the village you can see the farming fields and farmers anytime working and loving their land. There you can just not see farmers farming but you can also get to live a life if them, eat the freshly grown food direct from the field enjoy the native culture and be filled with love and care from the villagers.The specialty of Jilu is found to be their typical Nepali food Dal Bhat Tarkari along with Gundruk and Dhindo. You can experience the cocktail of nature from Jilu because it has hills on its east and west mount Gaurishankar in north and farms on the south. The pure Tamakoshi flows shouting down the village. You will be forced by your heart and mouth to go again. There is no wonder that Dolakha is full of amazes and one of the examples is Tsho Rolpa lake which is in the height of 4,580 M. It is one of the biggest glacial lakes in Nepal having area of 1.537 square kilometers. Isn’t it an amazing thing to witness such a lake which is normally half a year and then freezes in another half. The lake is so beautiful to see even in its normal days.It is of average depth 55m.You will feel a great pleasure to be there.